"Absolutely phenomenal realtor and friend! Deana has the gusto to see every hurdle through to the end for a successful sale! Her professionalism and attention to detail makes every moment of the home selling and buying not so overwhelming. Deana is truly one of the most savvy businesswoman I've ever met. A person cannot go wrong choosing Deana to represent their interests in the real estate market!" 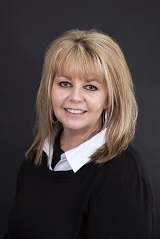 "Deana was AMAZING throughout the entire process of buying my home. She was always on top of everything and proactive in keeping me informed of all processes. I highly recommend her for all real estate transactions." "Love this lady. She's smart, complete with her regard to every detail and she got the job done! Thank you Deana!" "Deana, you are an amazing agent, everyone we have worked with together has sung your praises. Keep up the great work." "Deana handled the sale of some vacant land. She did a first class job! I would definitely use her again and highly recommend her to anyone looking for a Professional Realtor!"